Partnership Law, 5th edition is a comprehensive guide to the modern law of Partnerships, Limited Partnerships and Limited Liability Partnerships in England and Wales. 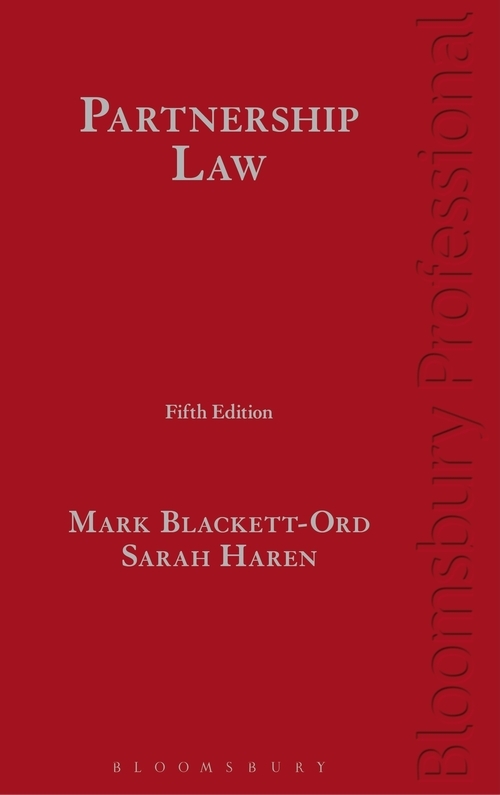 An authoritative text written by acknowledged leading barristers in the field, it covers all the practical issues inherent in setting up, running and dissolving a partnership and provides a definitive statement of the law using terminology relevant to business practice. It provides practical answers to all questions that might arise in relation to partnerships as well as questions that can arise in disputes between parties, ex-partners and outsiders. Its coverage is so comprehensive that if a question has ever been considered by the English jurists or in the English (and most Commonwealth) courts then reference to it will be found within Partnership Law. 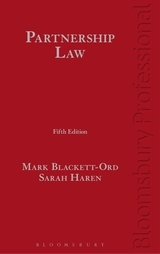 Mark Blackett-Ord is a barrister at 5 Stone Buildings. Sarah Haren is a barrister at 5 Stone Buildings.